At ServeNow, we believe in a God that answers the prayers of his people. He may not always answer the way we want; but in accordance with his will, for his glory and our ultimate eternal good. Prayer is challenging for most believers. Some struggle with doubt, wondering if prayer makes any difference. Others struggle with making time to pray or not knowing how to pray. 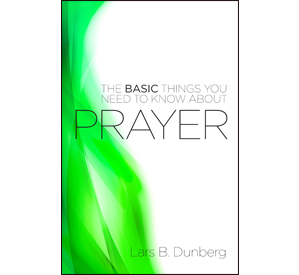 The fourth book in our Basic Series which we use around the world, is actually on prayer. It tackles some of these tough questions and common “blockages” to prayer. Many believers have found help and encouragement in their prayer life through this 32 page book. You can even purchase them on our website for your church, small group, home group, Sunday school group or youth group. We also send a bi-weekly prayer blog by e-mail to people/partners who have signed up to receive it. It’s a great tool to stay informed and engaged in how to pray for ServeNow around the world. Contact us (or e-mail Ingrid Young directly at: [email protected]) if you would like to be signed up to receive this prayer blog. We value prayer and the role it plays in our ministry and our efforts to make a difference in people’s lives. Our work is not merely humanitarian, so it requires more than human effort and energy. We need the power of God, favor of God, blessing of God and Spirit of God to lead us, guide us, empower us, encourage us, energize us and fill us, to effectively serve him. God’s work can only be accomplished through his Spirit. As Zechariah 4:6 states: This is the word of the LORD to Zerubbabel: ‘Not by might nor by power, but by my Spirit,’ says the LORD Almighty. 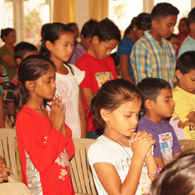 Please join us in praying for the ministry of ServeNow, staff of ServeNow and leadership of ServeNow. And let us have the honor and joy of praying for you!